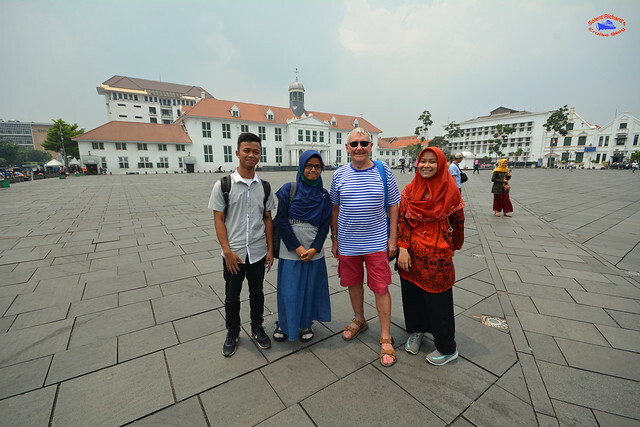 In October 2017 my wife and I had the good fortune to be on a cruise transiting the Java Sea which called at Jakarta, Indonesia’s Capital city. 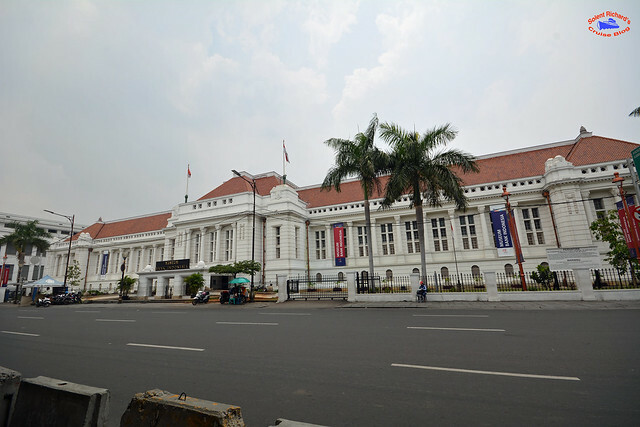 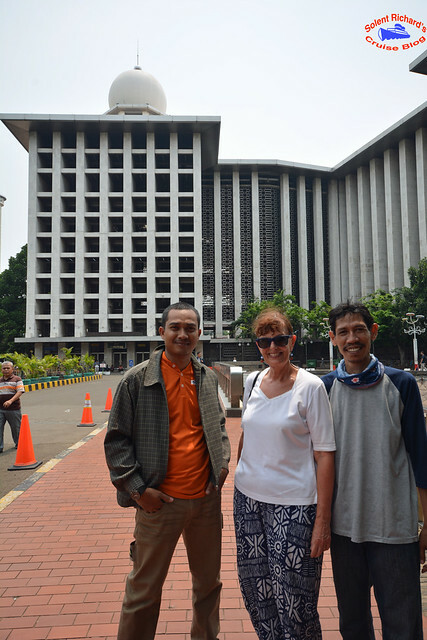 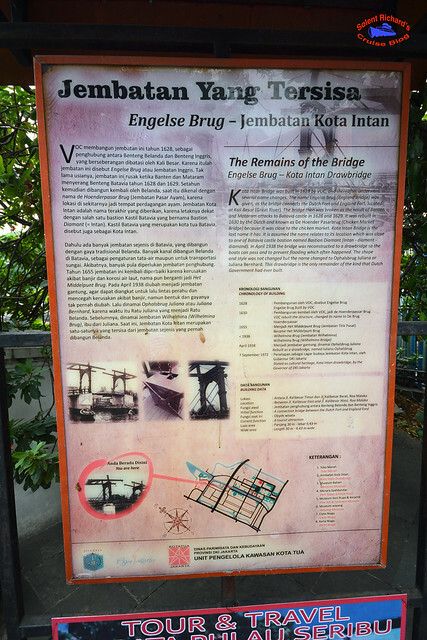 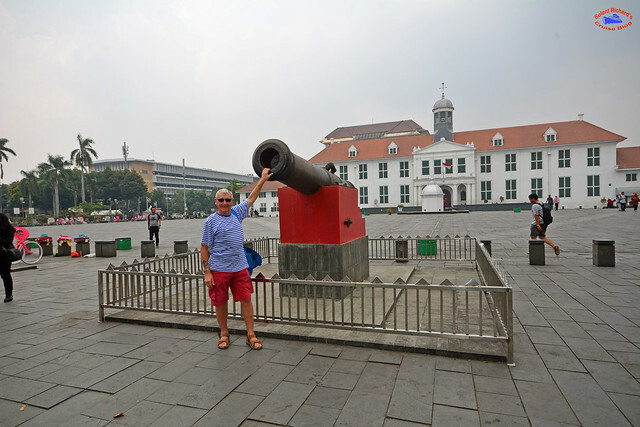 Jakarta is a city that has fascinated me for a long time and although our ship was running just the one excursion, their itinerary didn’t include a number of sites that were of interest to me. 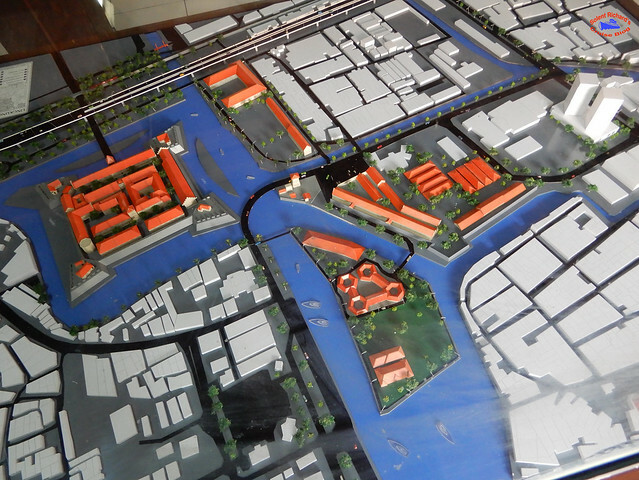 … and had a good idea of what we wanted to see. 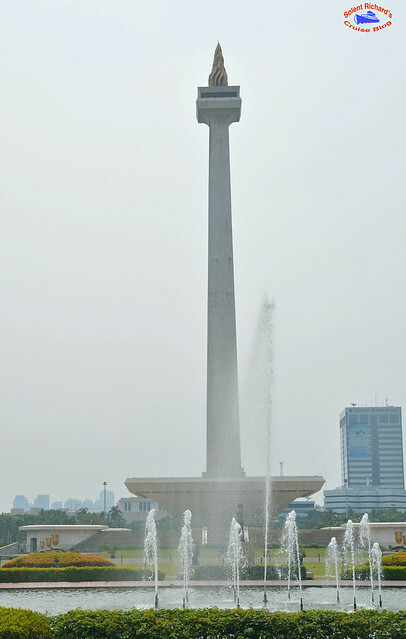 The arrow above indicates the terminal position. 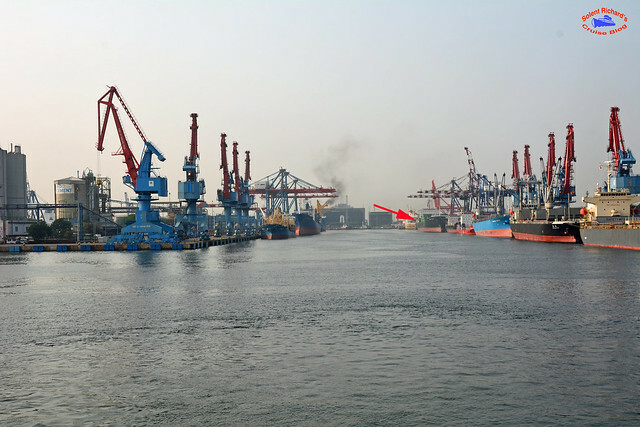 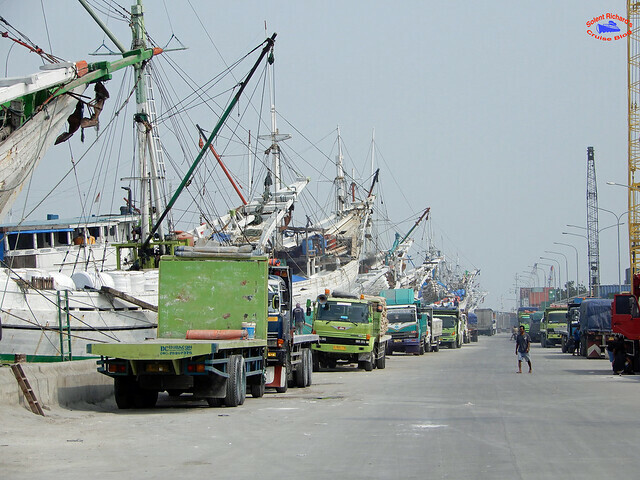 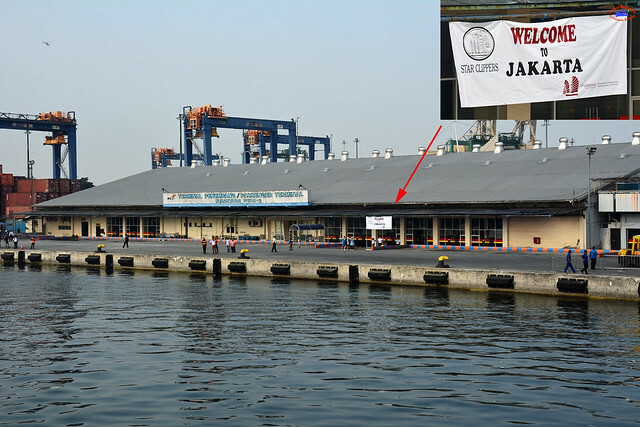 The terminal is some 12 Kilometres from Jakarta’s Central City area and, depending on traffic conditions, this could be a 45 minute drive. 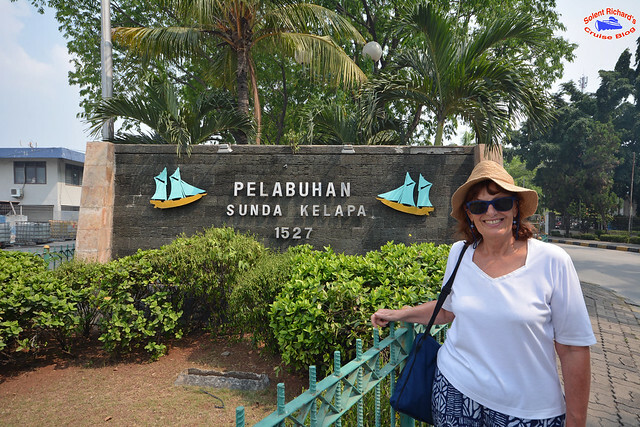 Incidentally, the cruise line we were sailing with, Star Clippers, made no provision for any shuttle transport for independent travellers. 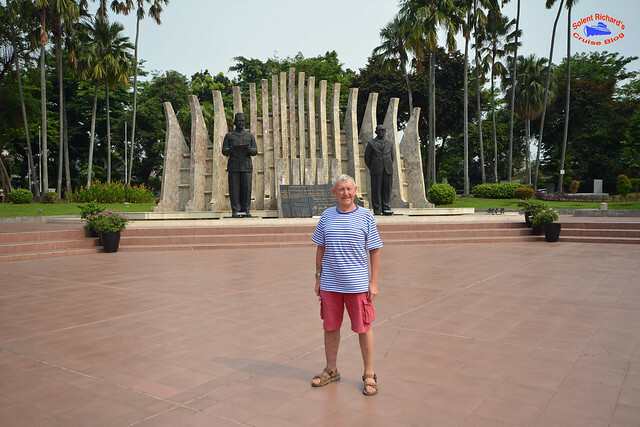 If you weren’t on their excursion you were on your own. 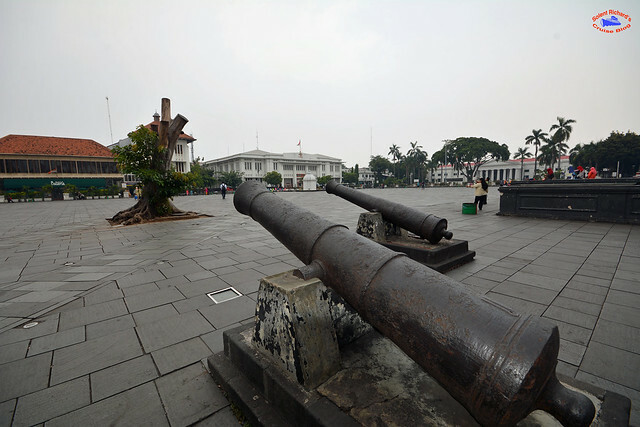 I had taken a screen shot of a google map and highlighted a number of places of interest while making a mental note that, if possible, we wanted to see the old port, known as Sunda Kelpa and the Proclamation Monument. 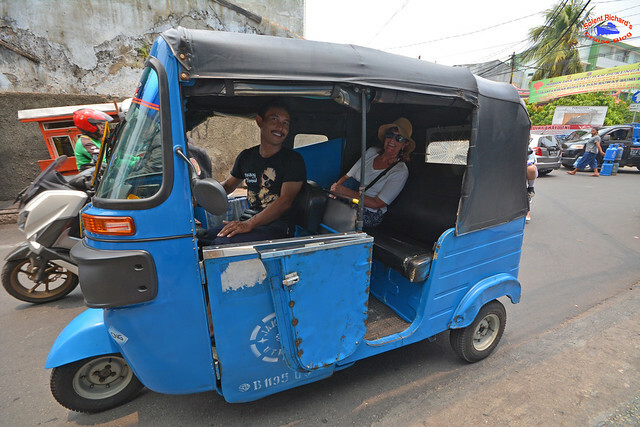 On leaving the terminal we bartered with a taxi driver and eventually agreed an acceptable price to be taken to Sunda Kelpa. 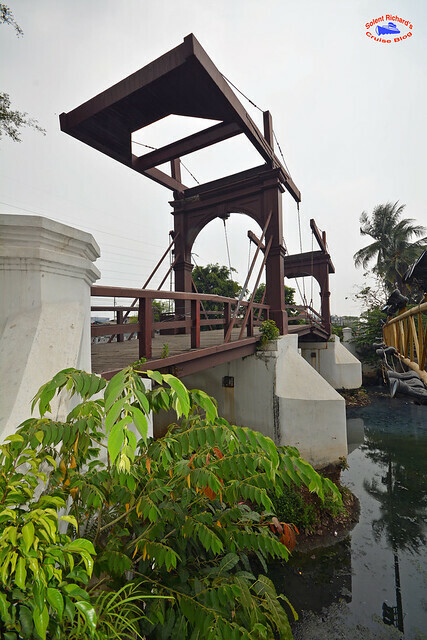 As can be seen, Sunda Kelpa is very much a working dock environment and quite fascinating to wander around. 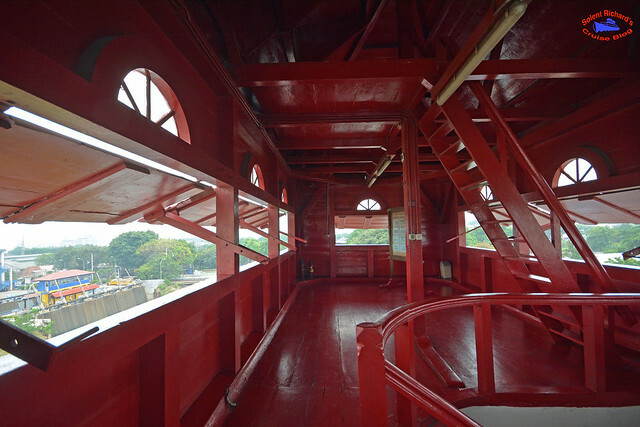 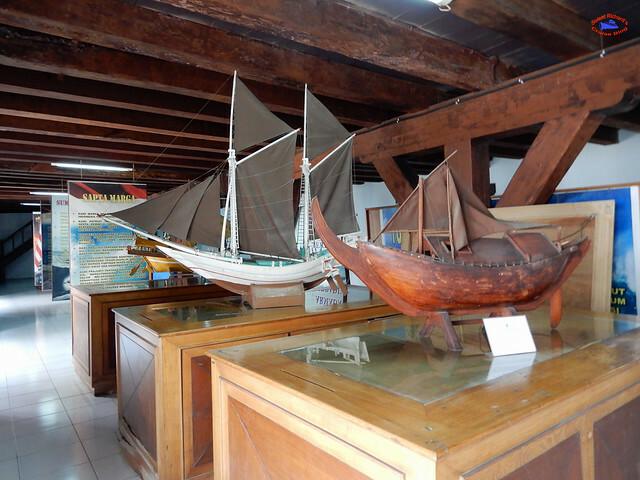 It is remarkably well preserved and it is still possible to climb inside to the top floor and view the line up of ships at Sunda Kelpa Harbour…. 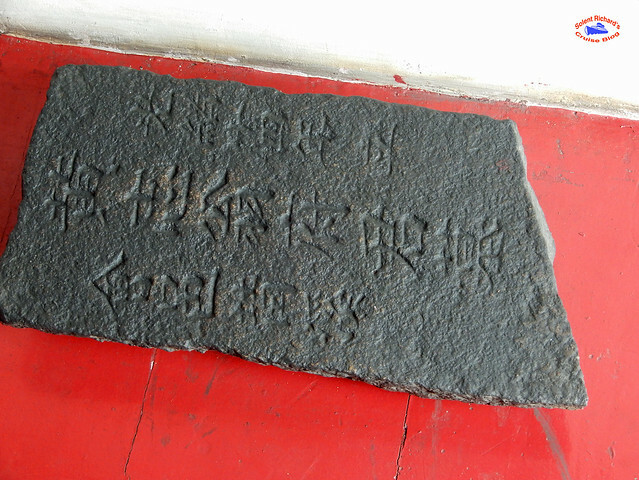 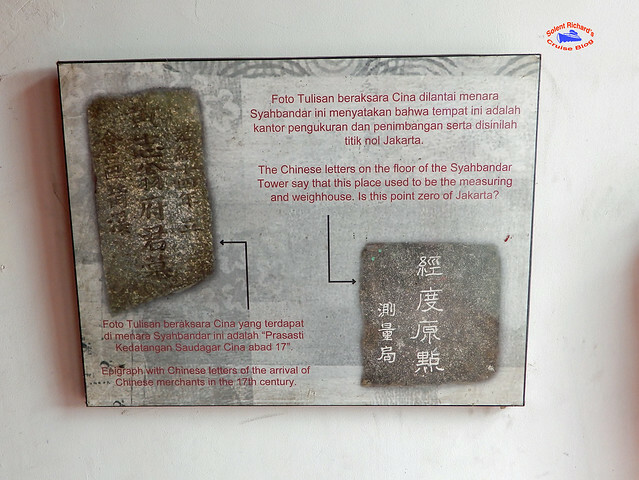 Inside the Tower of Syahbandar Jakarta there is a stone slab with Chinese characters which means Boundary Point, as point zero of Batavia City. 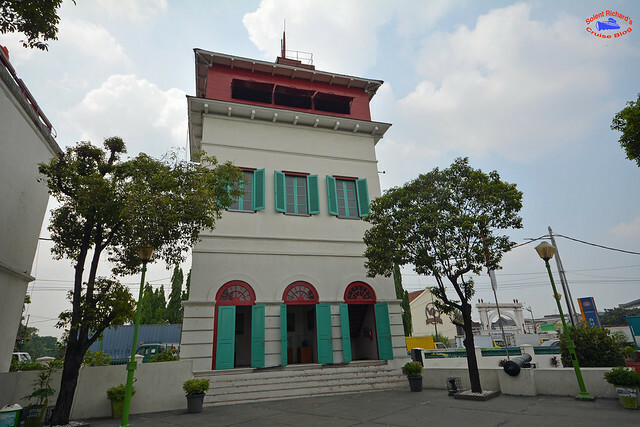 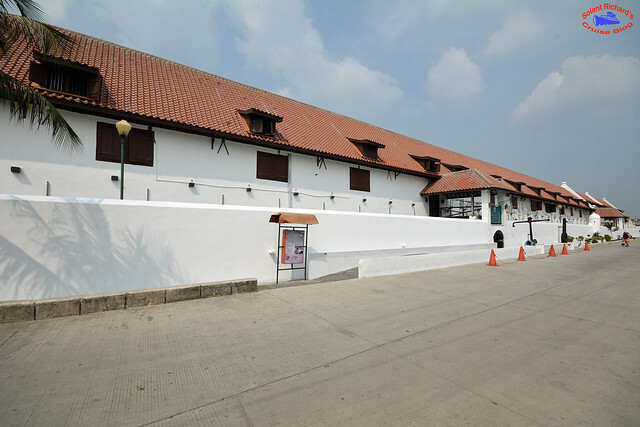 The museum occupies a former Dutch East India Company warehouse and focuses on the maritime history of Indonesia and the importance of the sea to the economy of present-day Indonesia. 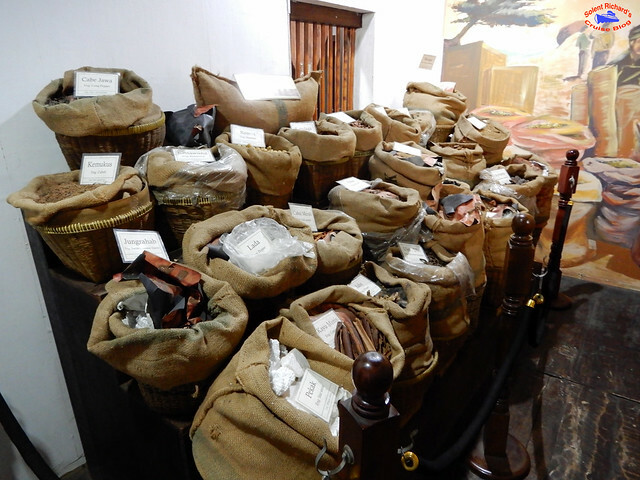 It is with considerable regret that during my follow up research to write this review I learnt that in January 2018, much of the museum was destroyed by a fire. 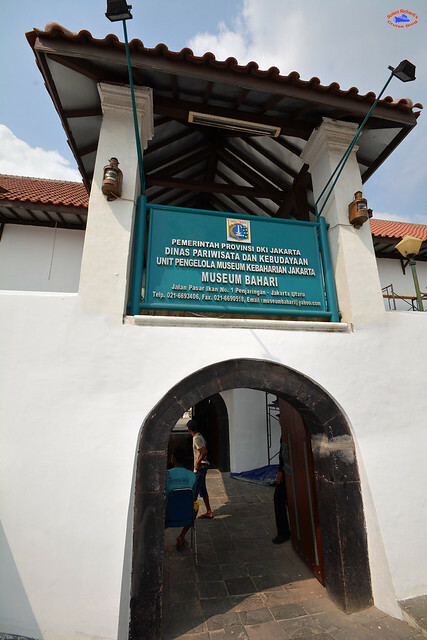 I sincerely hope the Indonesian government can expedite the reconstruction as this really was a memorable museum. 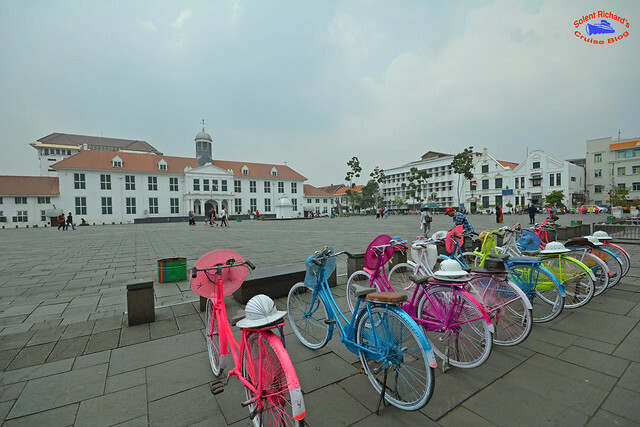 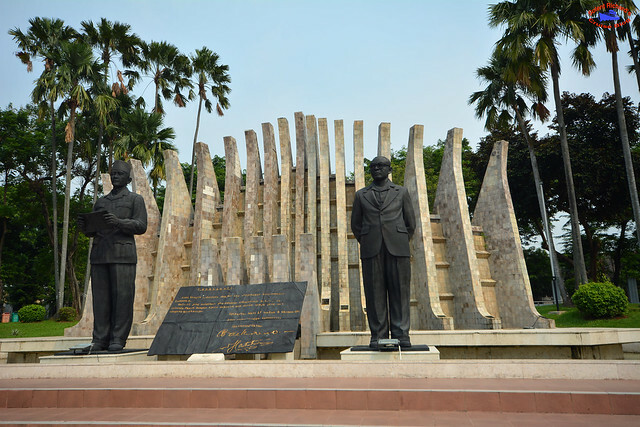 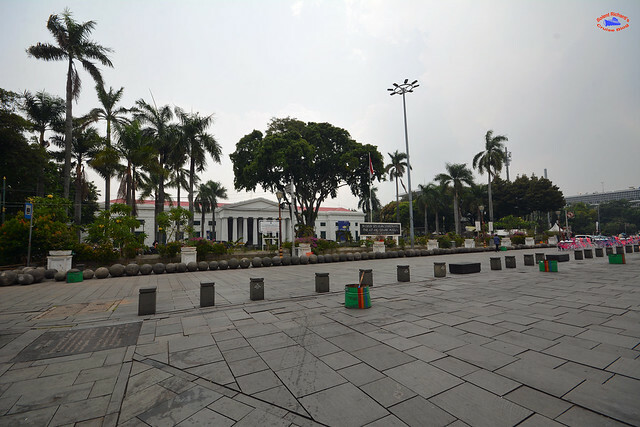 Fatahillah Square, which was the heart of the 18th Century Dutch Colonial Administration, is now the heart of a new and thriving tourist industry. 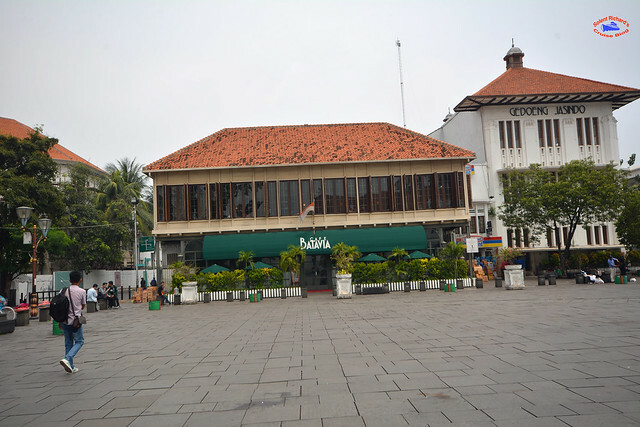 The building of Café Batavia was constructed around the 1830s and is another colonial landmark facing the square. 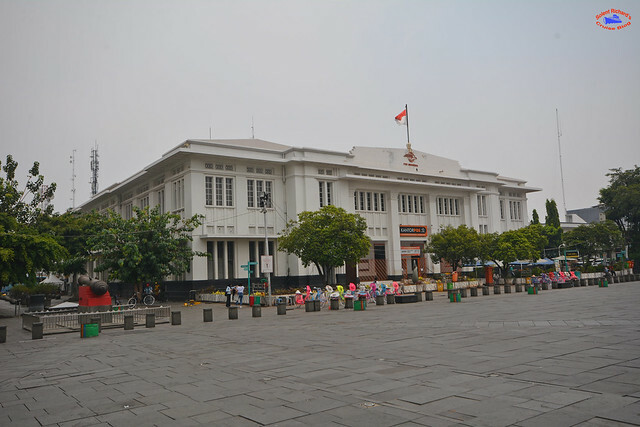 Former offices for Dutch Governors, its construction differs from the more colonial style buildings in that it is of traditional design, typically with a wooden gallery on the second floor. 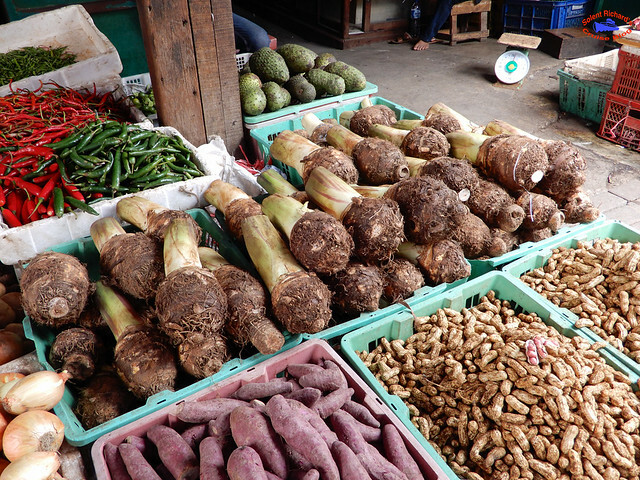 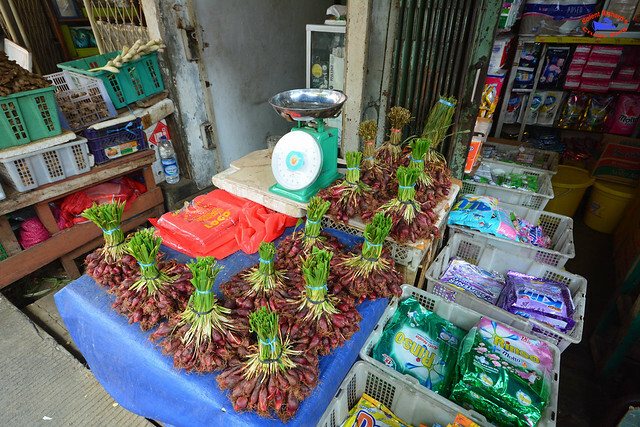 …is believed by local people to be able to induce fertility on women. 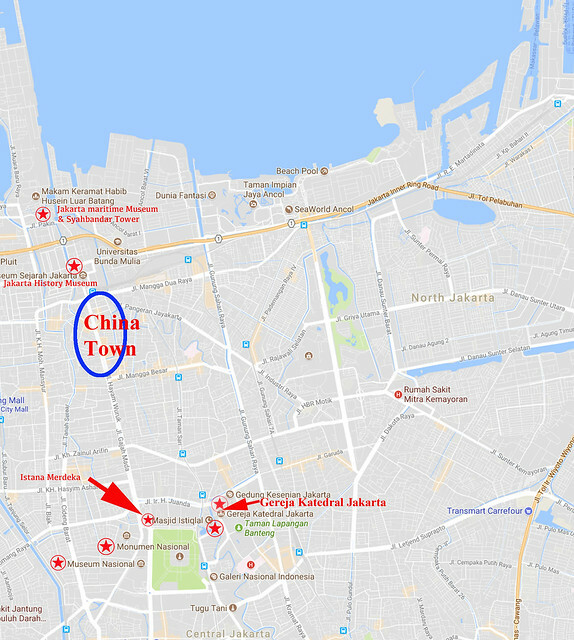 The Chinatown of Jakarta began long before Indonesia existed as a nation and was originally the Chinatown of Batavia. 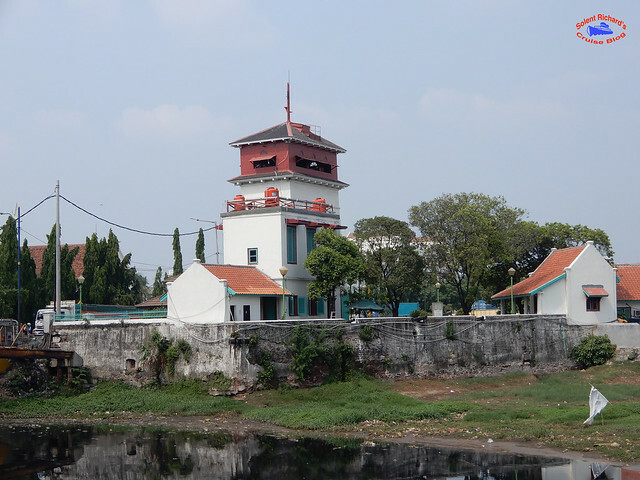 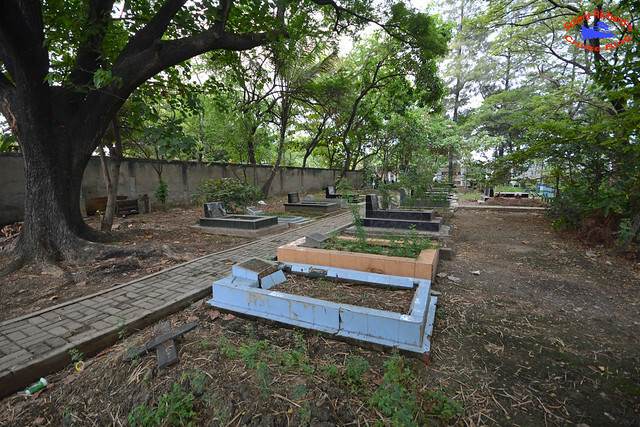 This was the area where the Dutch required the Chinese to live. 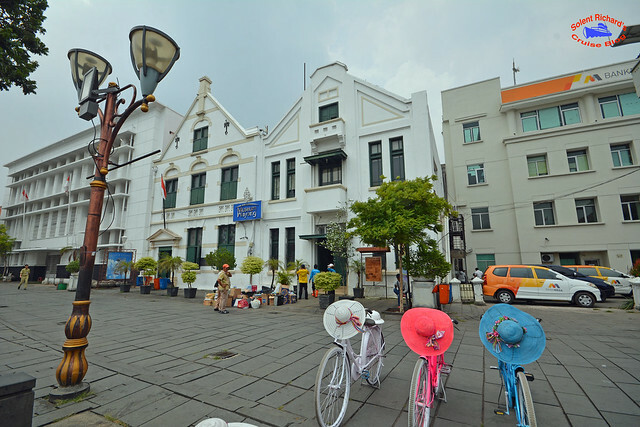 Today, the whole area is called Glodok and includes traditional houses, markets, architecture and some very beautiful Chinese temples. 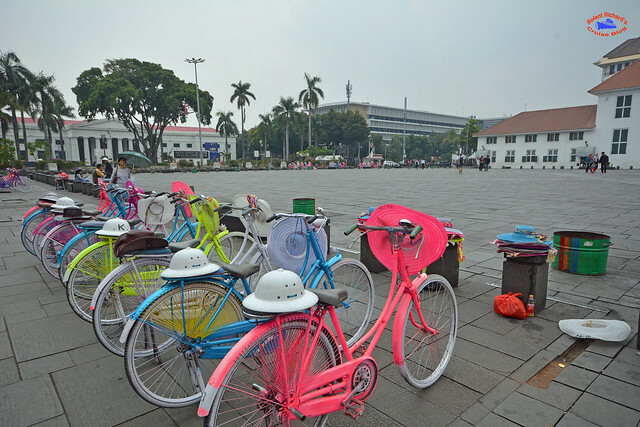 It was at this point that we decided to expedite our next visit having spent more time than planned at Taman Fatahillah Square. 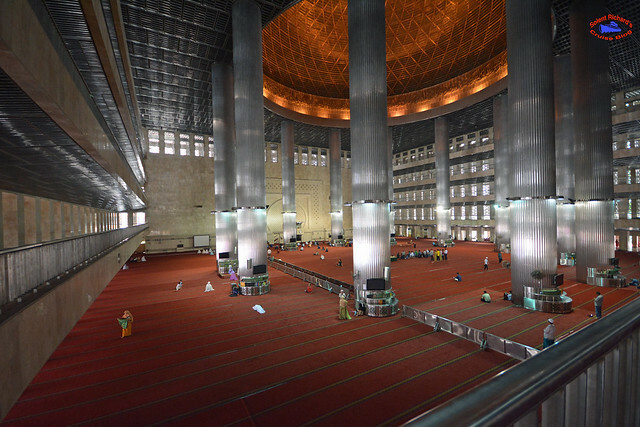 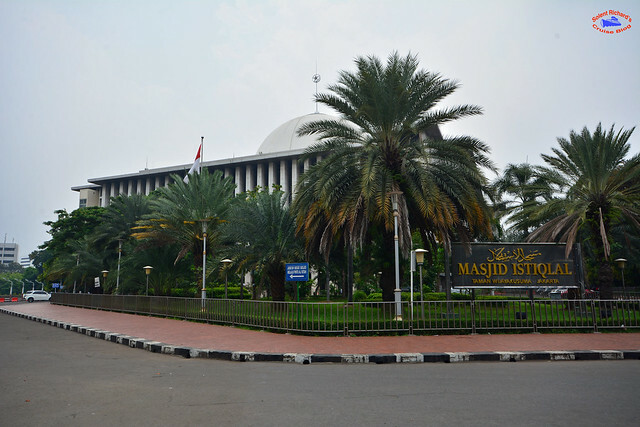 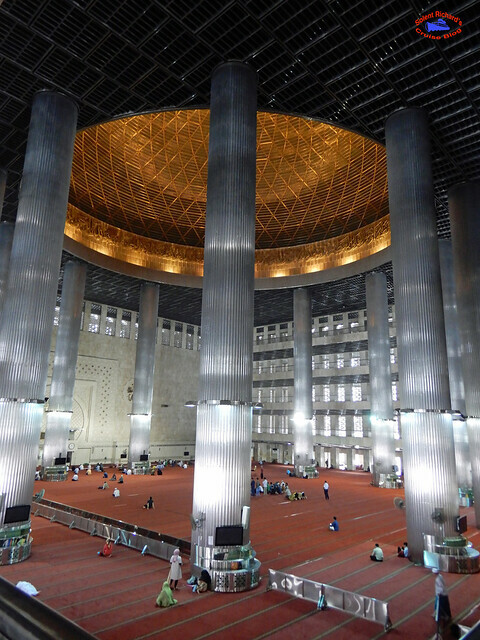 Masjid Istiqlal is the largest mosque in Southeast Asia and the third largest Sunni Mosque worldwide in terms of capacity. 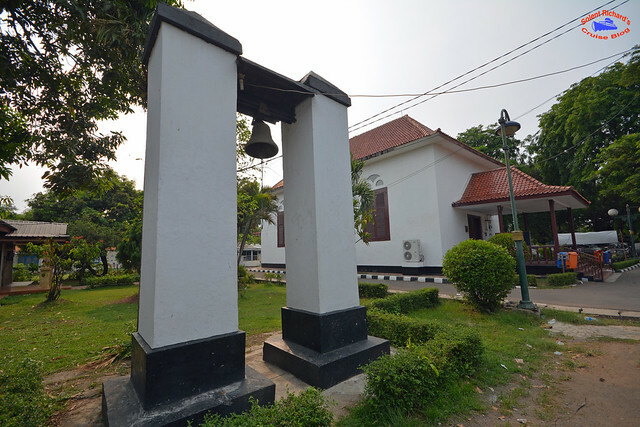 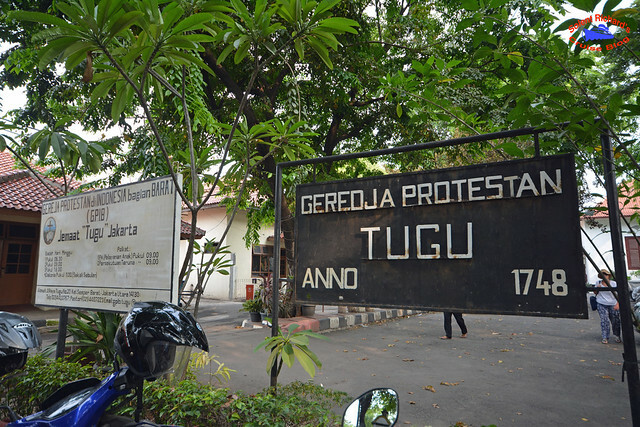 Our final place of interest was Kampung Tugu, an historic Christian neighbourhood, the oldest in Indonesia. 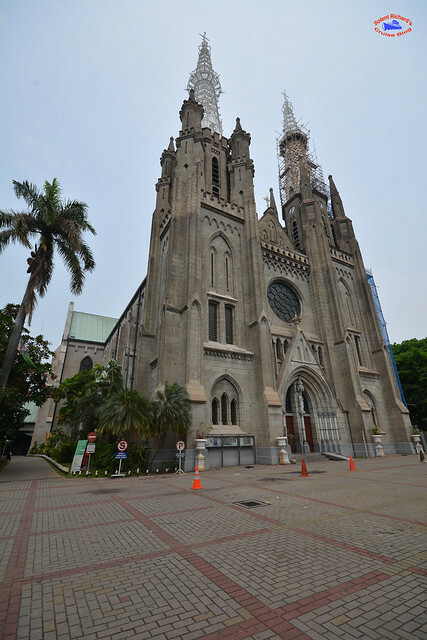 The neighborhood still exists and retains its own distinct Christian-Portuguese culture, e.g. 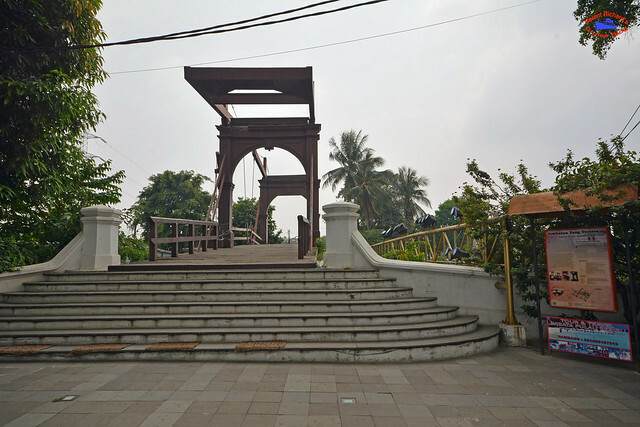 the Portuguese-influenced musical style Kroncong Tugu spoken in the extinct Papia Tugu language. 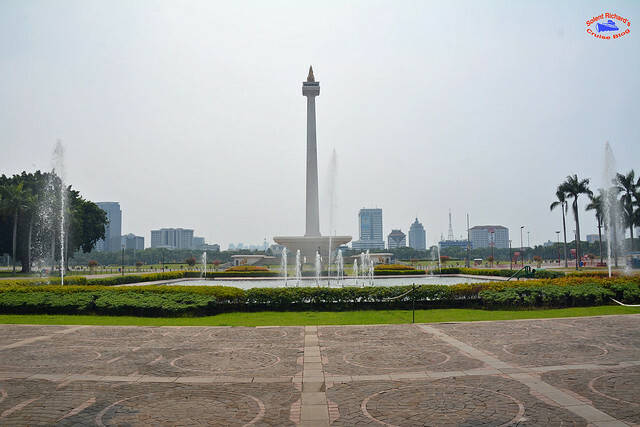 Jakarta is a multi faceted city that is home to an amazing melange of people from across South East Asia: an exciting metropolis with a huge diversity of traditions, beliefs and food. 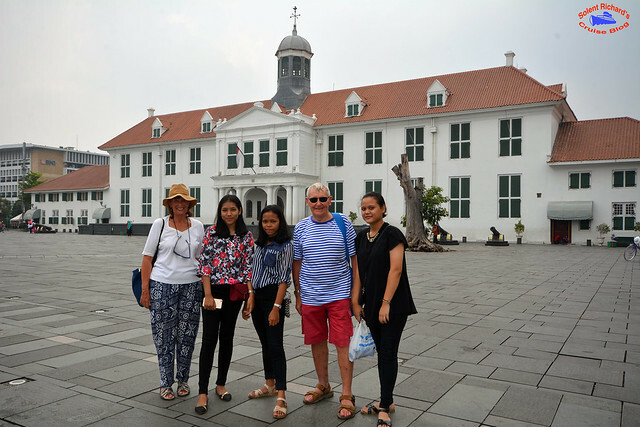 There is plenty to see and do and something of interest for every visitor. 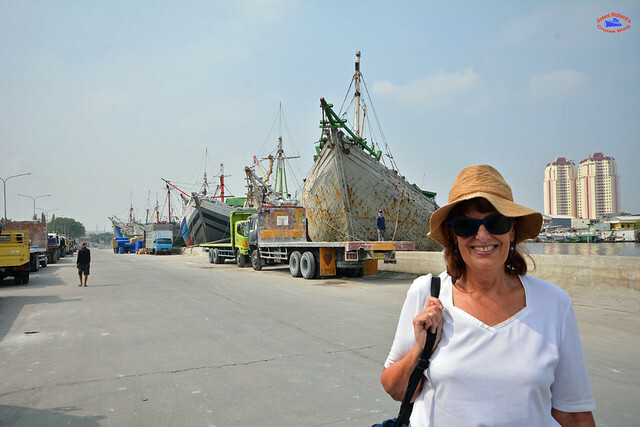 In the run up to our visit much was made of the traffic chaos but in all honesty, the routes we took saw no evidence of anything near gridlock and, as our vessel was not sailing till 11.00 pm we considered it an adequate safety net. 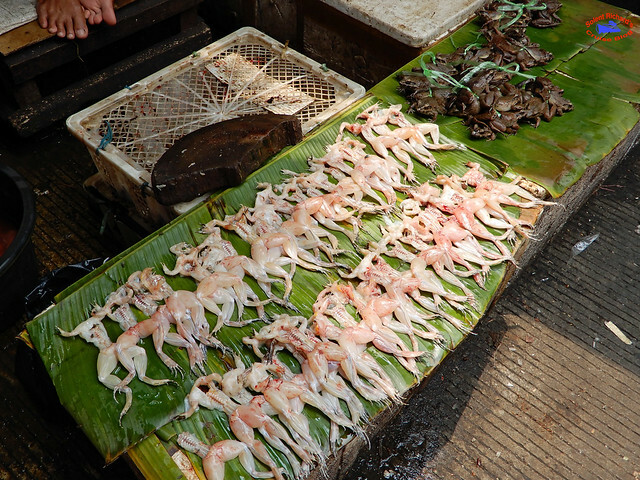 …so maybe no a bad decision. 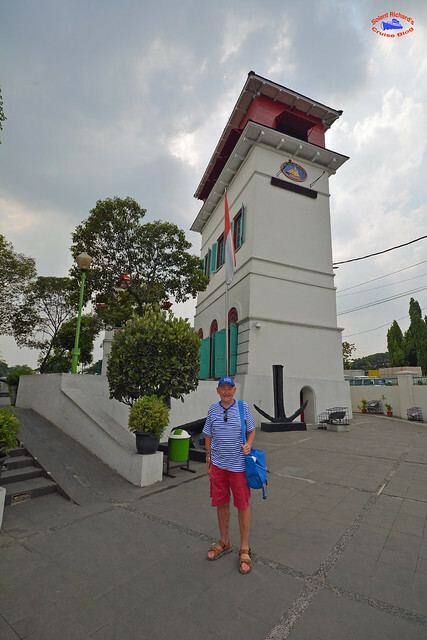 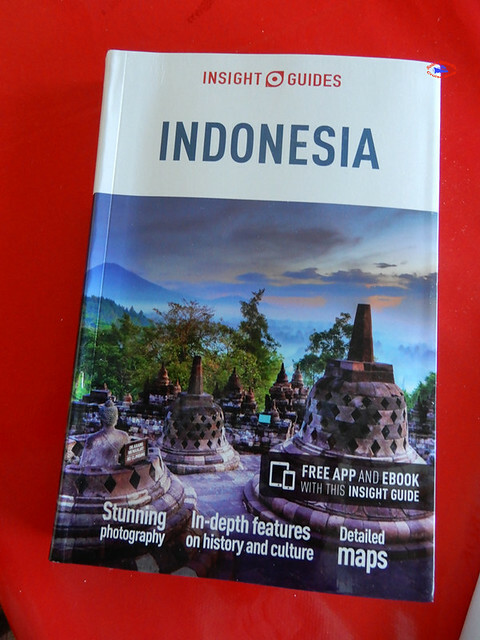 If you have enjoyed this review of a day in Jakarta and would like to be amongst the first to hear of new reviews including Solent Richard’s first cruise with Princess Cruises, a return to Cunard’s Queen Victoria and a Viking River Cruise along the Seine. 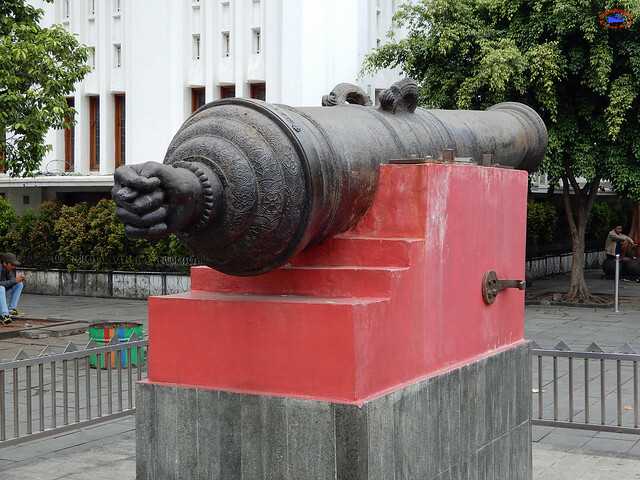 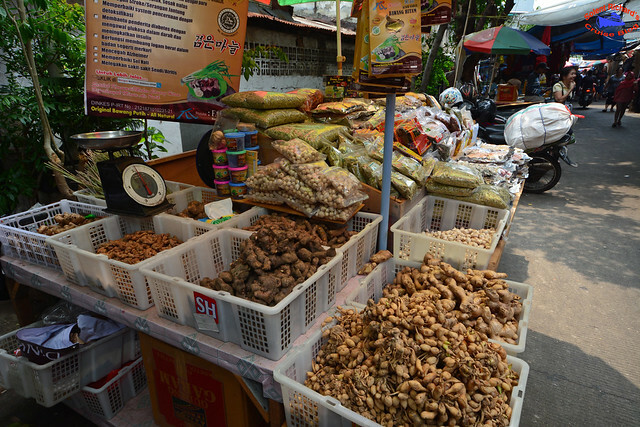 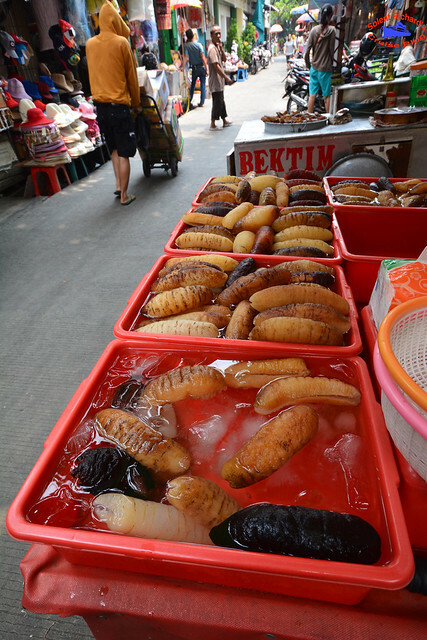 Plus the next port reviews featuring Bali, Part 2 of New Orleans and Ho Chi Minh City (Saigon). 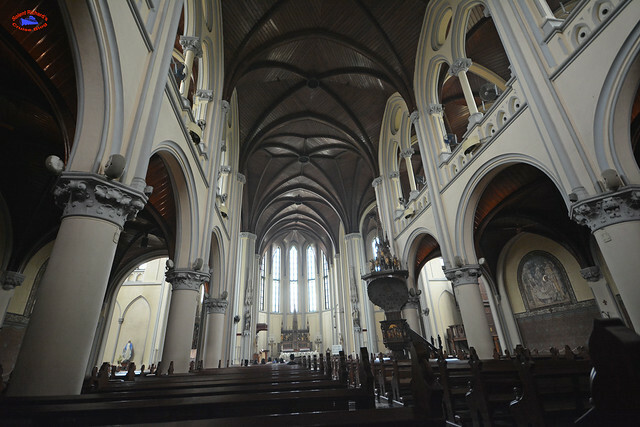 Why not join over 650 followers by clicking on the ‘Follow’ link on the front page.